Is a "new era of Groysman" possible? It depends on whether the prime minister can groups MPs around so that in April they ensure a year-long immunity for him. Will Bankova let this happen? What is the true nature of relations between Bankova and Hrushevskyy? How can the energy blockade affect them? These are the top issues on the agenda of the coming weeks. Let's talk about them in detail. "I am not going to be president. In this regard, I'm no competitor to Poroshenko," Groysman put it straight at a closed-door meeting with journalists on the Wednesday afternoon (this meeting was off record but I hope I can allow this one quote). He gave a transparent hint that he has no doubt about Petro Oleksiyovych's second term in office. As of now, this is certain. The public views Volodymyr Borysovych as follows: having chosen the role of a "technocrat" (in a good sense), he wants to show in practice "how to manage the country", prove that he can be an effective prime minister, give specific results and so on. However, he cannot do without forming "his own political image" (say hello to Yevhen Marchuk way back to 1996). The only question is where the limit is. This is one issue. Another issue is how to calitalise on this image. That is why Groysman's words today are at variance with his deeds. The head of government started acting as if he is guided by the logic of a presidential campaign. Here we should set it straight. Acting as if guided by the logic of the campaign is not the same as starting such a campaign. At lease for now. You want proof? Let's look at his bickering with Tymoshenko. To onlookers, it looks quite plain: Fatherland is initiative a vote of confidence in the Cabinet of Ministers while in response the head of the Cabinet of Ministers calls Tymoshenko the "mother of corruption". However it is more complicated: Volodymyr Borysovych's attack against Yuliya Volodymyrivna was not a spur-of-the-moment emotional reaction. In fact, it was a well-thought (including with regard to media coverage), prepared and directed step. Tymoshenko (whether one likes it or not) has a high presidential rating. By attacking something grand, you are raising your profile, becoming a part of the grandness (especially if someone responds to you). Besides, it sets the code: "technocracy" vs "populism" (both words in quotes). In his attacks on Tymoshenko, Groysman, as paradoxically as it sounds, is Poroshenko's ally. "Every effort into fighting Tymoshenko!" is a latent motto of the presidential administration (with Sadovyy being kept in sight in the background). And here Volodymyr Borysovych is in the lead. In fact, he says and does what, for some objective reasons, Petro Oleksiyovych cannot afford to do. As for "stress points" between Poroshenko and Groysman, it is simple. Yes, they exist. Albeit on a slightly smaller scale than the ones between Poroshenko and Yatsenyuk a while ago. So far, they have been limited to pure emotions. Petro Poroshenko is made this way that it will always irk him to see a prime minister with at least any independence who has his own opinion and can object to him. Like Groysman. This however does not mean that Poroshenko is inclined to have him replaced. Or maybe he would want to but has no real capacity because the risks of a parliament collapse and early elections are too high. But the game is worth the effort. So an absolutely schizophrenic situation is forming, for the umpteenth time, which is unfortunately quite intrinsic to Ukrainian politics. That is when the prime minister, having de jure and de facto bigger authority, thinks in the categories of presidency while the person elected president is trying to install control over the prime minister. As for Volodymyr Borysovych, he is in a hot spell now. The year-long immunity given to the prime minister by parliament expires on 14 April. After 12 months expire, parliament must hear the government report (which was recently approved by the cabinet and sent to parliament) and then vote on a government programme for the following year. Whether it is going to approve the government programme or not is a key issue. 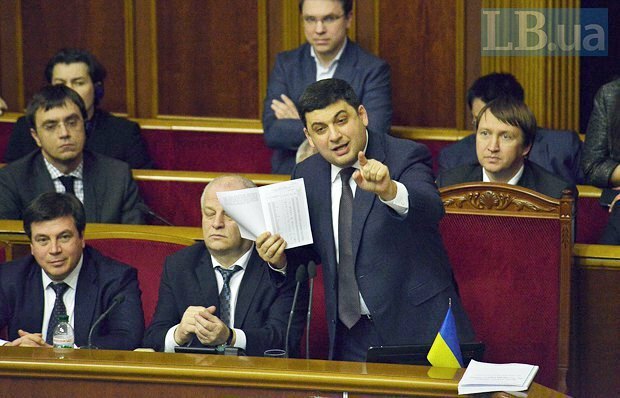 As it is known, Groysman does not enjoy massive support in parliament. The adoption of the budget, when votes were collected by Poroshenko and Yatsenyuk rather than through his own efforts – offers an explicit proof. This time Volodymyr Borysovych will have to drive his own cause. Because no-one, apart from himself and his narrow Vinnytsya entourage, is interested in extending the government immunity. That includes President Poroshenko. It would be more logical for him to keep the obstinate prime minister in a "suspended state". As it already happened to Arseniy Yatsenyuk who worked in accordance with an action plan which was not approved by parliament, with dismissal hanging behind him like a sword of Damocles. If Volodymyr Borysovych manages to ensure MPs' support for his action programme for the next year, it will mark the beginning of a "new era of Groysman", during which priorities are very likely to change. Including the president's. As for parliamentary elites – both regional (not only from Vinnytsya) and local – they will quickly adjust their sights with regard to a new favourite. All of these are parts of behind-the-scene game without which one can hardly imagine Ukrainian politics. And any other politics, for that part. Its participants can win in one case only. If Ukraine finally embraces the model of a full-scale parliamentary-presidential republic, in which the president carries out his functions without encroaching on the functions of the prime minister, the ministers of foreign affairs and defence, the secretary of the National Security and Defence Council and others. The prime minister will have to carry out his tasks without encroaching, even purely hypothetically, on the presidential functions or presidency as such. And parliament will have to transform from a "haggling" place to a decision-making platform. As intended. And as it was exactly three years ago for several bloody days in February 2014. - Its driving force, including MPs, are not independent, they are guided by some masterminds. Bankova believes Ihor Kolomoyskyy to be the main mastermind, who would benefit by all means from rocking the situation and political destabilization. Especially if they can result in a parliamentary crisis and reformatting the majority (but not the coalition, this is important). The secondary mastermind is… Rinat Akhmetov. Yes, despite being good friends and an informal "partner" of the president. One would think: why would Rinat Leonidovych bother? After all, everything has worked willy-nilly so far, bringing him stable profits. His potential motive is the same: destabilize the political situation with a view to reformatting the majority. To strengthen his own stand, of course. I'd like to repeat that this is the way Bankova sees things. Akhmetov's camp flatly denies the allegations. It says they are most unhappy about the blockade because it will "not bring Ukraine to success". They suitably quote Akhmetov's own remark: "I have assets in this country. If the country is a success, their cost grows and vice versa". The Cabinet of Ministers, for its part, is confident that the blockade must have a "Russian trace". Thus it expects the conflict to escalate. Up to a march by "unhappy blockade participants" to Kyiv. With arms in their hands, of course. An allusion to a traditional nightmare of the authorities, called "a riot of battalions" for you. Overall, it seems paradoxical that the Cabinet of Ministers was left one on one de facto with the "blockade" problem. Especially considering it happened on the eve of the government report which I have mentioned earlier. On Wednesday, the Cabinet of Ministers de facto introduced a state of emergency in the energy sector (which by no means is the same as looming rolling blackouts; on the contrary, it is there to prevent them) while Groysman suggested the National Security and Defence Council should convene an emergency meeting. "Because the blockade is taking place in the area of the antiterrorist operation, this is outside the government competence. This is up to the National Security and Defence Council [NSDC] because it is an issue of national security. 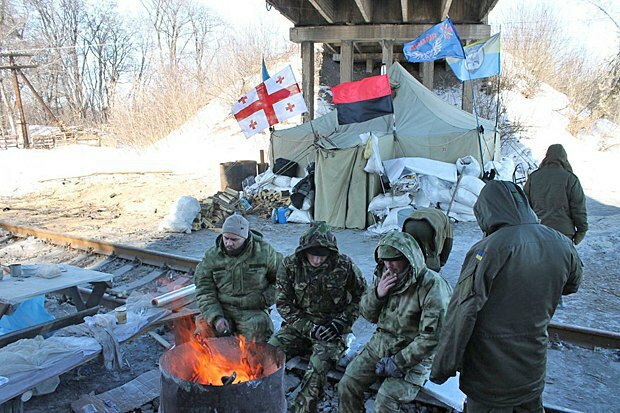 Therefore I suggested that the NSDC consider all aspects and effects of this blockade on the life of Ukrainian citizens and take corresponding measures to remove this problem from the agenda," the prime minister said at a government meeting on 15 February. The NSDC held an extraordinary meeting on Thursday. However it seems that Volodymyr Borysovych forgot about the president's decrees No 876/2914 and 298/2015. Both are the follow-ups to the NSDC decisions listing a whole range of measures on ensuring energy security. In particular, the 2015 decree concerns the issue of reconstructing generating units at Ukrainian thermal power plants to move from anthracite to locally mined gas coal. It is probably a rhetorical question why these instructions had not been implemented (certainly, not in full) either by Yatsenyuk or Groysman. And why no-one will be held particularly accountable for this (it is clear that none will). It is just that everyone had been happy with the way things were until the scandal broke out. Some made shameless money (and shared them as intended, of course), others justified an increase in tariffs by repeatedly mentioning the Rotterdam Plus, which is hardly comprehensible to the population. 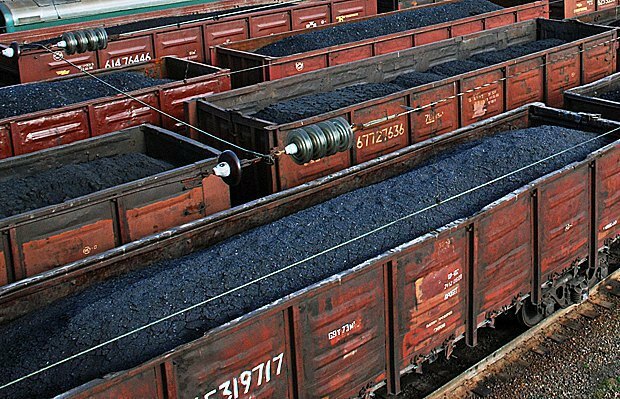 If one is to trust the National Commission for Energy Regulation and Energy Minister Nasalyk, the formula turned out to be fake while coal mined in militant-held areas of Donetsk and Luhansk republics is in high demand still.